Innis College and the Harold Innis Foundation present a public lecture with Professor Phil Howard (BA ’93 INNIS), globally-recognized political expert and director of the Oxford Internet Institute. 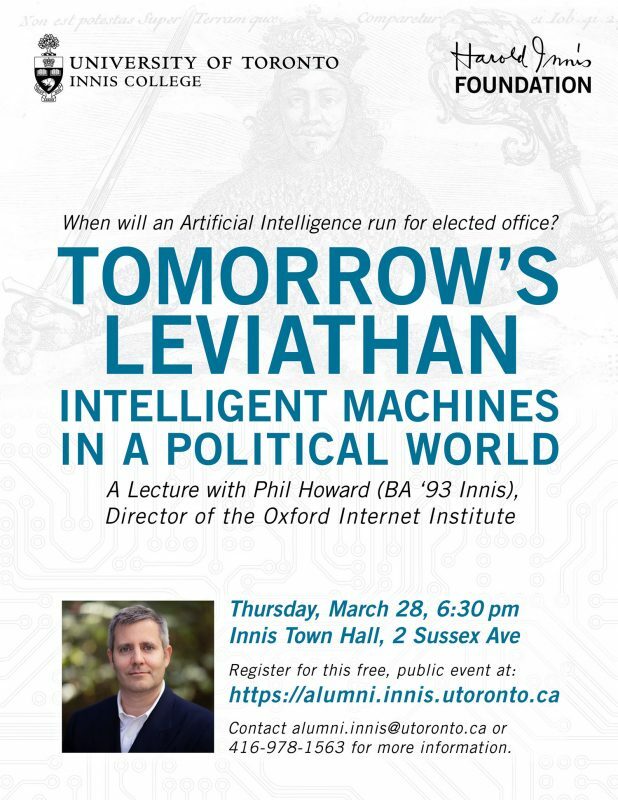 On the evening of March 28, Prof. Howard will return to Innis College to speak about the role of artificial intelligence in global, democratic decision-making. Registration for this free, public lecture is required.